The story revolves around a real person, Thomas More, who refuses to capitulate to the King, Henry VIII who wants to divorce his wife so he can marry the sister of his mistress, Anne Boleyn. 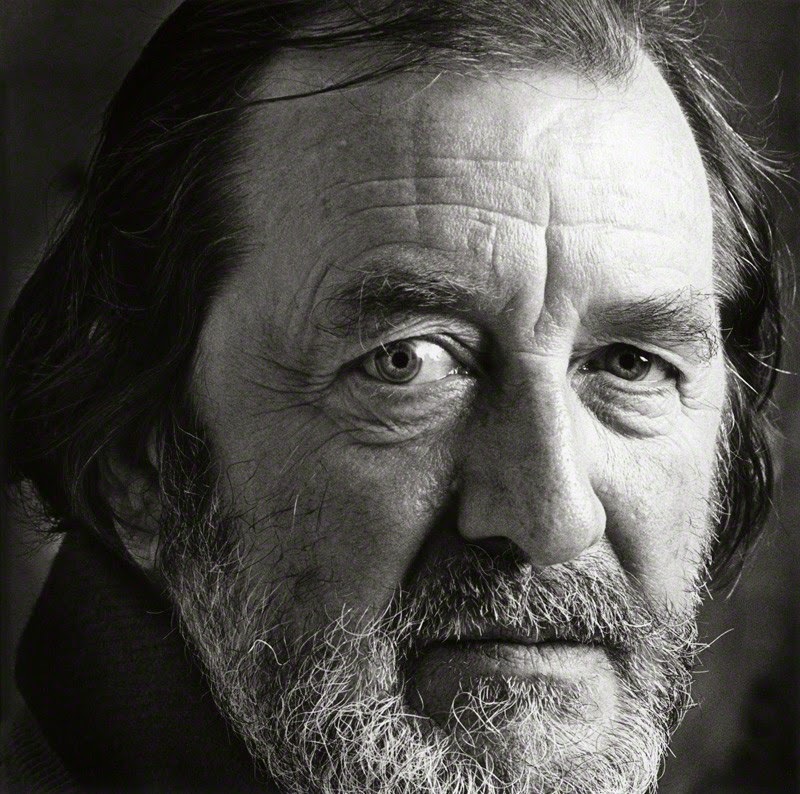 The screenplay was written by the legendary English playwright Robert Bolt, based on his play. If you think it sounds familiar it is. Anne Boleyn's story has been told in various forms, most recently in the 2008 film, The Other Boleyn Girl. Bolt had learned about More in school. Though he wrote about More in the play, Bolt was more known in the sixties for his screenplays, notably his work with David Lean. He wrote the screenplays for Lawrence of Arabia, Doctor Zhivago and Ryan's Daughter. 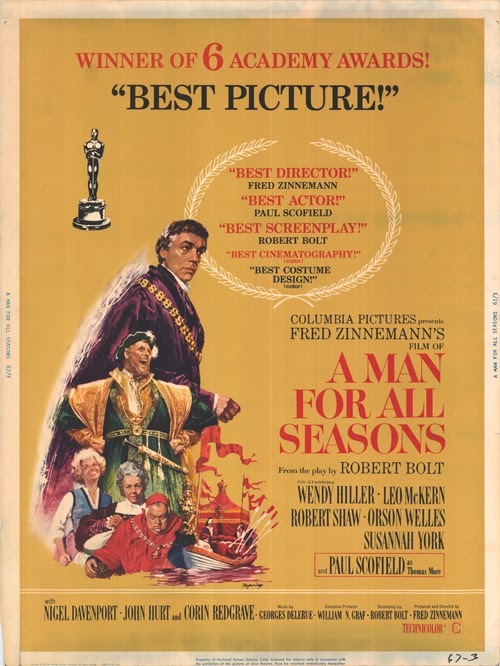 A Man for all Seasons was directed by Fred Zinnemann (From Here to Eternity). It won Best Film at the Oscars, as well as Best Actor for Paul Scofield who played More. More importantly for this series, it also won for Best Adapted Screenplay. Interestingly, some of Bolt's deletions for the film version were reinserted for the 1988 TV version, directed by Charlton Heston. To be fair, the film has dated somewhat, but it is still powerful and contains some fantastic dialouge driven sequences. Robert Bolt had some success in the eighties with his screenplays for The Bounty and The Mission. He died in 1995 aged 70. Mr Bolt appears to be a very good screen writer - although I am not a particular fan of films about royalty and especially Henry the Eighth. The Mission did push my buttons about the evils of religion though. Yes the Mission was good wasnt it. Its a little old fashioned this one, but still worth a mention. Interesting. I haven't seen A Man For All Seasons. Now, I'm intrigued. Thanks, friend.